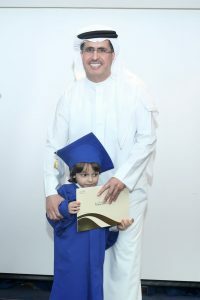 Mohammed Bin Rashid University of Medicine and Health Sciences honours Ministry of Health and Prevention. UAE, 27 June, 2016 – Mohammed Bin Rashid University of Medicine and Health Sciences (MBRU) honored the Ministry of Health and Prevention (MOHAP) for its contribution to the success of the first kidney transplant in Dubai. 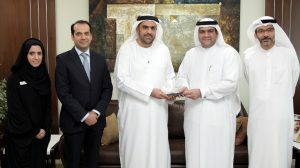 Dr. Mohamed Salim Al Olama, Undersecretary of MOHAP, received the University’s trophy as a token of appreciation from Dr. Amer Ahmad Sharif, CEO of the Education Sector in Dubai Healthcare City Authority, during his visit with the University delegation at MOHAP’s headquarters in Dubai. and University delegates Dr. Alawi Alsheikh-Ali, Dean of the College of Medicine, Dr. Farhad Janahi, Consultant Urologist and Assistant Professor, and Nujood Al Khloofi, Director of Marketing and External Relations Department at MBRU. Dr. Al Olama expressed his appreciation for the recognition and noted that MOHAP’s efforts leading to the success of the first kidney transplant in Dubai hails from the directives of the UAE’s wise leadership to raise the level of health services for citizens and residents and ensure it meets the highest international standards. 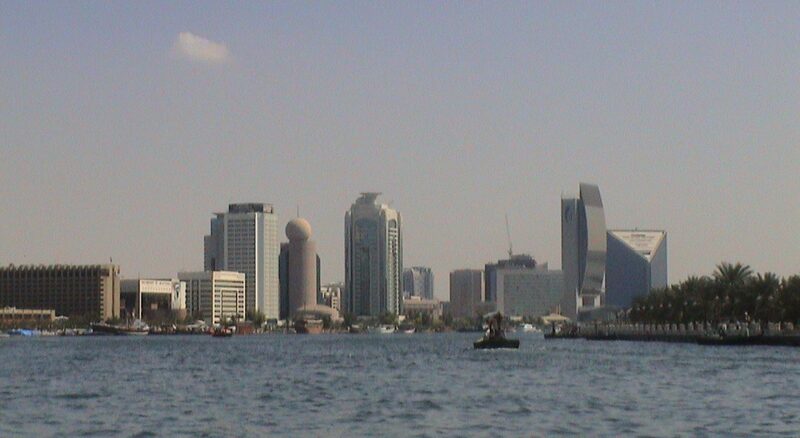 He said that the UAE’s healthcare sector is undergoing a major transformation as new paths are taken and adopted in the field of surgical care and organ transplant, as well as innovation in diagnostic and therapeutic services, application of advanced medical technology, and continuing education for the country’s doctors, consultants and nurses – all of which are aimed at ensuring satisfaction and happiness for citizens and residents as embodied in UAE Vision 2021. The Ministry will spare no effort to support all significant initiatives in modern surgeries and will take advantage of the global development in organ transplants, including the latest education developments in universities, research and treatment centers and major hospitals, he added. Dr. Sharif articulated his appreciation to the Ministry for its unwavering support to the success of the first kidney transplant in Dubai, which he said is an ideal example of cooperation among various stakeholders. He also cited MOHAP’s vital role in supporting innovative projects for the advancement of medical education, which will place the country among the world’s top medical achievers by engaging in strategic partnerships and initiating treatment programs for enhancing the health of individuals and society as a whole.